Home Dave Tickner Could it be this simple: are West Indies just better than England? If (when?) West Indies complete a series-clinching 2-0 win here, the final 21 overs of this opening day in Antigua may prove to have been the most significant of the match. England collapsed as England do, first to 55/4 and then from 176/6 to 187 all out. But even at a lunchtime 78/4 – a score almost entirely down to a counter-attacking Jonny Bairstow half-century that, crucially, went no further after lunch – the sort of recriminations one might expect were largely absent. So difficult had batting been that most observers agreed England’s score was perfectly acceptable. Nasser Hussain was moved to describe Bairstow’s pre-lunch 50 as one of his best Test innings, and he had a point. Joe Root had been dismissed by a brutish lifter, the sort of ball nightmares are made of. The sort of ball that may make Root reluctant to ever get forward ever again. 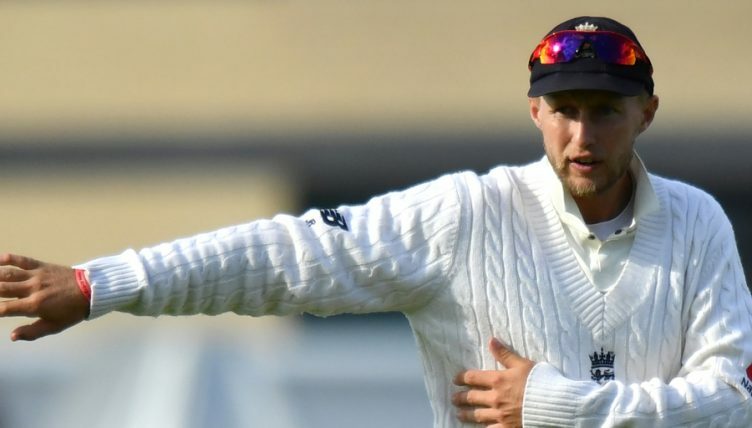 It was an astonishing sight on the first morning of a Test match to see a batsman of Root’s calibre press forward in defence only for the ball to rear up and strike his top hand before looping to slip. When the ball reached Root it was a full metre higher than he might reasonably have expected. “Unplayable” is an overused word in cricket, but… well, yeah. It was not an isolated incident. A pitch combining bright green grassy patches with bald areas showed variable bounce from the start. The identity of England’s openers may change, but the story remains the same. Rory Burns nicked a good one, Joe Denly chased a bad one. The makeshift opener had been outrageously lucky to escape an lbw verdict both on the field and then on review before he had scored his first Test run but would make only six before edging an attempted cut from a ball that was way, way outside off stump. In the conditions, it was an understandable shot. Bairstow’s much-praised innings was built almost entirely on giving absolutely anything he recognised a healthy smack in the sure and certain knowledge something with your name on it could be around the corner at any time. Denly’s error lay in his execution of the shot, failing to move his feet across the pitch and in the end only just barely, fatally able to reach the ball as he threw his hands at it. Moeen Ali, averaging nine with the bat this winter before walking in on this minefield, rarely looked as clear-headed in his approach as Bairstow but he made 60 welcome runs. They may yet prove crucial and ridiculously they represent his highest Test score since making 84 against the same opposition at Headingley 17 months ago. Ben Foakes looked more secure before gloving an attempted pull into his stumps for a well-constructed 35. He hurt his hand in the process, handing the keeping gloves – temporarily at least – back to Bairstow. Ben Stokes got a similar delivery to Root’s but gloved it to safety and embarked on a short but heated exchange of words with Shannon Gabriel before offering the sort of caught behind that looks awful in isolation but makes far more sense when paired with the earlier glove-botherer. Then came England’s chance to bowl, with an hour-and-a-half to cause some carnage of their own and… nothing happened. Whether through just trying too hard, saddled in a way West Indies’ bowlers were not by having already been dismissed for a(nother) low score, or by having not paid attention to the alarming bounce from a good length all day long, James Anderson and the recalled Stuart Broad bowled too short for too long with the occasional over-corrected half-volley thrown in. Broad went past John Campbell’s outside edge countless times, but never pushed that length a touch fuller in order to find it. Sam Curran’s very first ball late in the day was on the perfect length, disturbing the surface and jagging past the shoulder of Campbell’s bat. The pitch had not changed; England’s bowlers just didn’t make use of it. Campbell, again looking more secure than any new opener England have tried in the last five years, and Kraigg Brathwaite batted as well as they needed to. The new ball has been repelled, and West Indies can now eye up a series-sealing lead. Another long, bruising, chastening day for England. Out-bowled, out-batted, out-thought. For all the analysis, for all the beard-stroking, for all the talk of selection errors made or corrected the simple fact is plain: whatever the pitch is or isn’t doing, right now this West Indies team is better than this England team.